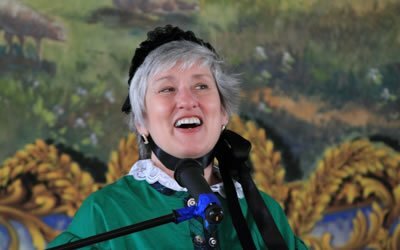 Singer and researcher Linda Radtke, joined by pianist Arthur Zorn, explores the contributions of Vermont women to the traditions of parlor songs, women’s club music contests, and social reform efforts. Oceana Judah, Diane Martin, Edwina Flint, and Helen Hartness Flanders represent the richness and invention of the female composers included in the sheet music collection of the Vermont Historical Society. Abolition, child welfare, temperance, the patriotism of war heroes, and the concerns of those left at home during times of war captured the hearts of these women who sometimes disguised their gender for publication. Though they were often published in the local print shop, they have sometimes been ignored by musicologists since. Access note: After entering the Northfield Historical Society building, please proceed to the Brown Public Library Community Room in the same building.